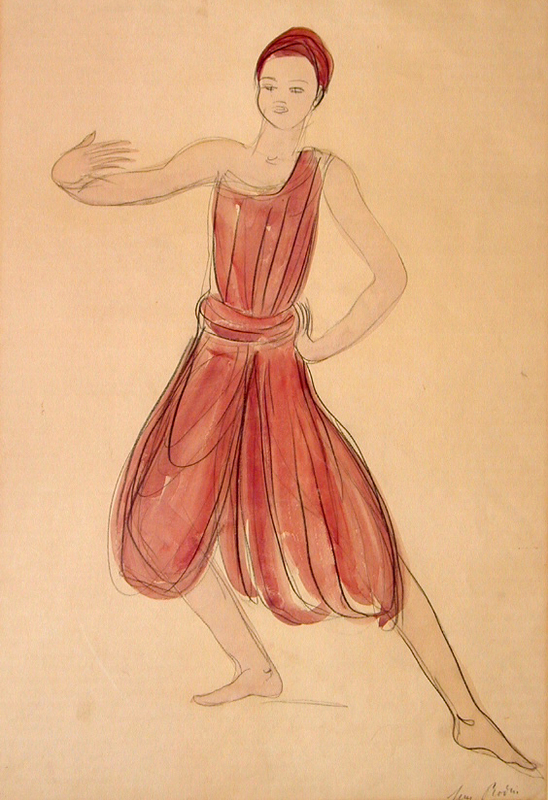 Auguste Rodin discovered Khmer dance on the occasion of the official visit to France by King Sisowath of Cambodia in 1906. 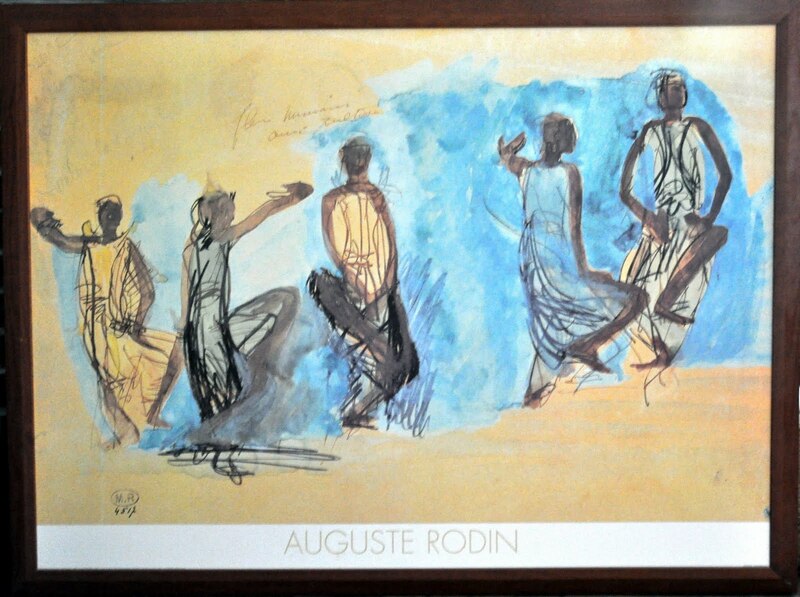 When Auguste Rodin met the troupe of dancers for the first time it was like a revelation to him. 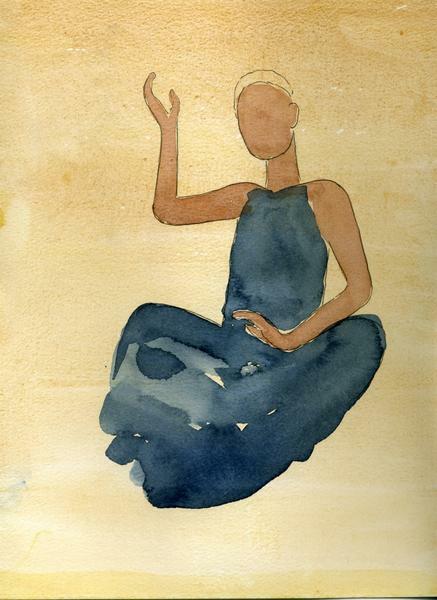 He was struck by the timeless and universal nature of the movements of this dance, which transformed this relatively unknown form of art into a manifestation of the universal principle of the “unity of nature” through time and space. 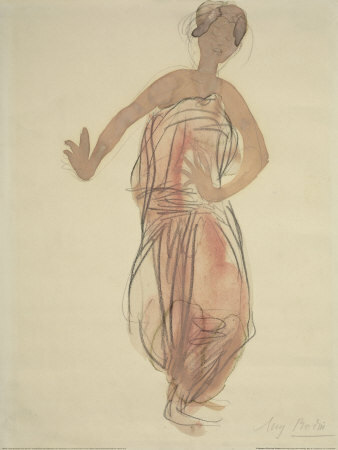 This encounter came as such a shock to Rodin that he immediately started a first series of drawings. 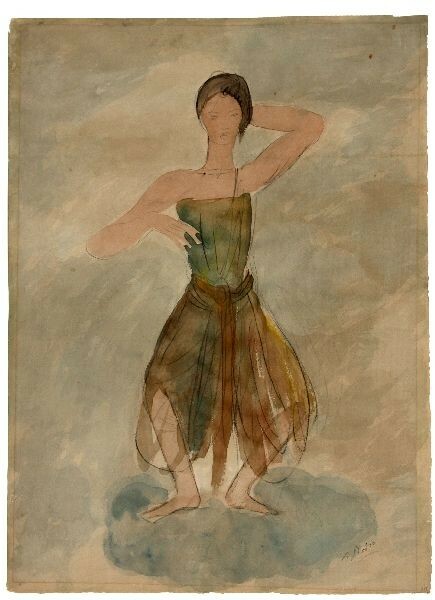 However, the dancers were expected elsewhere, and Rodin therefore dropped everything to follow them to Marseilles, not even taking with him the necessary paper and drawing material. On arrival, he executed a series of studies of movements and female draperies that are considered to be among the leading lights of his art.